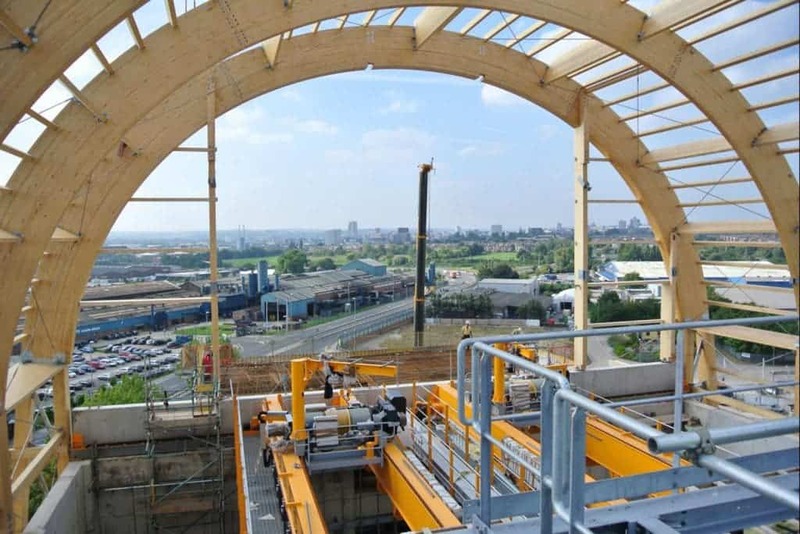 Leeds seems set to become one of the green poles of the world as architects have unveiled plans to build a bioenergy plant that will generate energy from 214,000 tons of waste collected each year from black bins in Leeds. The building, designed by Jean-Robert Mazaud of S’pace Architects, is expected to open in six months. The design itself is quite spectacular. Using glass and timber framing, the building is expected to reach 42 meters in height and will include a green “living wall” on the southern facade to provide biodiversity and a visitor center. It will also incorporate several energy and water-saving features, rainwater collection and sustainable drainage systems. It is expected to produce 11MW of power, helping reduce the usage of fossil fuels (especially coal). The company has “a pipeline of next-generation ideas in this space,” and the green economy in Leeds, one of the largest cities in the UK, seems to be gathering momentum. Hopefully, this will be only one of many similar projects emerging in England; the country is seriously lagging behind other European countries in terms of sustainable development and recycling.